13 Which hospital should I go to? Click on "hospitals" and enter your location and procedure. 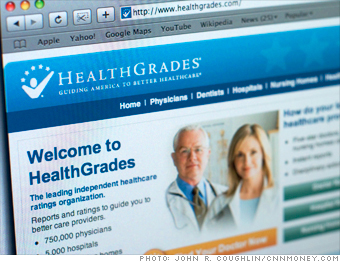 HealthGrades will rank the quality of hospitals near you, showing how often patients there had major complications following surgery. Coolest feature: You can see which hospitals have advanced technology, such as robotic arms for surgery. Try this too: Whynotthebest.org, run by a private foundation, gives similar info. NEXT: 14. How can I find my next job?